The phone call comes. It’s your client and he needs you to shoot in a different country. But your only experience with a different country has been on your vacation. Now what? You can’t say “no” because your client will look around, find someone else who can do it, and you’ve lost that client — most likely even for jobs within the US. So you answer “yes” — then panic. Don’t worry, that’s actually a good reaction because generally it makes you think — about all the things you don’t know but will need to know to do the job. And that’s a correct first step. The basic elements of shooting in a different country are no different than here in the US. You’ll need a contact from your client, a team, equipment, and a shot list. So start with those basics. This is the obvious, but often overlooked. The contact person has to speak English — and not just basic English, Business English — unless you speak their language. So ask for people in executive management to be your contact. Don’t settle for some assistant unless the manager doesn’t speak English at all. The higher up your contact, the less confusion is likely to occur. A manager or executive will understand the needs of the company. They can provide people and access. They can make things happen, change schedules to coincide with your shoot, move people around, connect you to other locations or contacts, all the while understanding exactly what it is you need because they know the overall business structure. And the decision making process is streamlined, just between you and them, saving you valuable time in pre-production as well as during the shoot. How you assemble the team depends partly on the amount of money you have and on the amount of different locations you will shoot in. If you just have to go to one place, you can either bring the team with you or hire a local team where at least the DP speaks English. If you bring your team from the US check for business visa requirements with the country’s consulate and, at minimum, ALWAYS hire an English-speaking, local PA with a van. They can drive you around, help you carry equipment, speak the language, and in general facilitate your shoot. However, remember they’re PAs. If you need more help in setting up the shot, obtaining permits, etc., hire a good assistant producer or line manager. If it gets real extensive, you might even need a location manager or a full fledged production manager. They will be invaluable during your shoot and, because they’ve arranged everything, it will be their responsibility if things go wrong. Let them handle the police or people who want to stop you. The good thing is, if necessary, you can step in as the innocent director who didn’t know and play the good cop/bad cop game. It may just get you that one shot you still needed. To hire a local crew, there are a variety of sources. One of them is Crewstar, an MCA-I member. They can find teams for you anywhere. The other way is calling around. Start with colleagues you know, who’ve shot abroad. Or even if they haven’t, they may know someone who has. Call the international president of MCA-I. He/she will know more members and might be able to put you in touch with someone. Additionally MCA-I also has affiliates in quite a few countries. If you shoot in several locations, I recommend that director, producer and DP become the basic team that will go everywhere. It ensures at least visual continuity. If you shoot in different countries that are close to each other, such as in the European Union, you can hire other crew members such as sound engineers from one country and take them along into others. EU nationals are allowed to work in any other EU country. You will still have to pay for hotels, but you will have eliminated the flights from/to the US in your budget. Once again, a lot depends on the budget you have. The cheapest version is renting the gear in the country you shoot in. It eliminates excess baggage costs and a long wait through airline security. However, you won’t know exactly what you’re getting and most countries around the world use the PAL TV standard (the third one is Secam used primarily in France). Unless you edit in PAL or have budgeted money to transfer tapes from PAL to NTSC, you will find that NTSC equipment is older and not that readily available in most countries. Other countries that use NTSC are Canada, Mexico, Japan, Korea and several Caribbean islands. A good happy medium is bringing the basic equipment with you, i.e., camera and accessories, tripod, tapes, batteries (make sure you have power adaptors or converters), and a simple lighting kit (you’ll need adaptors here, too). Make sure your production insurance covers the countries you’ll shoot in. If you need additional equipment, ask your local PA or sound person for a reputable rental company. You might want to do that prior to departure. It ensures backup in case of emergency. To eliminate delays at customs and to assure the security personnel at airports, a good way to take equipment in and out of the country is with a carnet. Carnets are basically temporary export and import certificates which allow you to move goods that would otherwise be eligible for import duties without payment between countries. You’ll have to provide a detailed list of the equipment and make sure that this list is certified by EVERY country’s customs department coming and leaving. It takes extra time but it’s worth it. 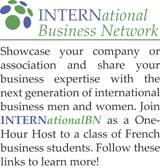 For further details check out www.atacarnet.com, which is the carnet agency that works within the United States Council for International Business. This is a very important part of the pre-production process, especially when you have to shoot internationally. The sooner you know what you have to shoot, the better you can prepare because you’ll need to coordinate with your client here in the US, with the contact in the other country, and ideally with your DP, so he/she can make you aware if you’ll need something specific for that particular shot. Once you’ve developed a list of what you need and it has been approved by your client, you need to let your contact know. Maybe you’ll need a permit; maybe the location you envision does not exist like that; maybe a subject you want to shoot will only be available on a certain day. Those are all elements that happen here too, but you’re now dealing with a different country, different culture, different rules, and different mentalities. Therefore provide as much information to your contact and team members as you possibly can. Be prepared to make changes, even once you get there. Listen to your contact. Maybe he has a better idea, one that you didn’t know about. Ask questions. Be flexible. In fact, flexibility is the most important trait you’ll need. Don’t go in there expecting things to run like they do in the US. They won’t. Now that we’ve covered the basics and your panic has developed into a clear pre-production strategy which you can influence, let’s talk about the surprises, the things you can’t control. Most of them have to do with the different cultures and mentalities you will encounter during the shoot. Following are a few brief examples of surprises that have occurred during our shoots despite our best efforts and lots of experience. You really can’t prepare for culture to the extent you’ll need in order to be completely at ease in a different country. You can however, do some research. It helps. Your main goal has to be to remember that you’re in other people’s territory. If you don’t understand their reaction, don’t think they’re stupid, or ridiculous, or imbeciles. Most likely they think the same of you. Try to understand them. Ask why? Explain what happens in your country so they can try to understand you too and maybe better assist the next foreign crew. Asia for example is still very much patriarchal and hierarchical. A perfect example happened during a recent shoot in Korea with an English-speaking sound guy. I had told him that we would start the next day at noon, since we planned to shoot into the night. When he picked us up, we were informed that we would now go to lunch with the client. I was incredulous. Why would I want to go to lunch when we scheduled a shoot? Because that’s what the client had told him the evening before. He didn’t even think to ask me if that was OK because the client was above him. And I was a foreign women. So I didn’t count. In the evening, we explained to him that he should always find out what the director wants first. Regardless of hierarchy. It was a whole new thought for him and he promised to be more understanding next time. If culture is defined by the external rules, mentality is the internal characteristic of a nation. The famous “the French are haughty, the Italians crazy, the Germans precise” describes mentalities. In fact, all those stereotypes have some truth in them and knowing that will prepare you a bit. Whenever we bring together a large team from different countries, we give a little “these are the different mentalities” speech. Playing on the basic stereotypes which each person recognizes, we use humor and exaggeration to make the team members aware of their differences in approaching a job, and by doing that generally provide a degree of understanding. When you shoot in a different country, you’ll have to give that pep talk to yourself before you leave. Be open, expect surprises, don’t panic, be creative, and find solutions. Remember that they have as much of a preconceived notion about Americans as you may have about them. Most foreigners perceive Americans as friendly but culturally insensitive and mostly concerned about money. Your first priority should be to prove them wrong. The minute they feel that you care and are interested in their culture, doors will open for you. However that still leaves you with plenty of “haughty, crazy, precise”. For example, the standard answer in Italy to a request is “No, it’s not possible”. It may very well be more than possible, but you’ll hear “‘no” regardless. This is exactly the opposite to shooting in the US. There the general answer is “no problem” — even if it actually is a problem. If you understand this, you’ll know how to deal with both situations. On a recent shoot in Italy, our American sound man who lives in Italy pointed out that if we wanted to do the helicopter shoot in Venice early in the morning, we should stay in Treviso, where the helicopter airport is, not Venice. However, our client had booked us into Venice. When I called to ask her for a hotel in Treviso I was told it was impossible. That was the end of the discussion because at this point there was no other argument she could make. I’d played the game. Persistence paid off. We got our hotel — five minutes away from the airport. In closing, let me say that producing in other countries is one of the most wonderful aspects of our job. Yes, it is stressful; yes, it is filled with surprises; but it is also delightful, enriching, and illuminating. You get to know people from all over the world, you learn new things, you broaden your horizon, and you see places you’d otherwise never see. 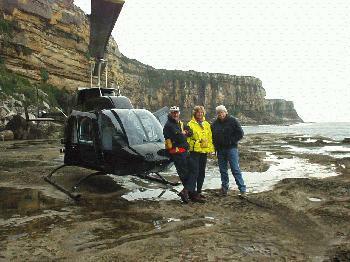 On a helicopter shoot in Sydney, Australia we were waiting for a ship to arrive at the entrance to Sydney Harbor which is protected by huge cliffs. Our helicopter pilot, who also shot with Tom Cruise in Mission Impossible II, flew close to the cliffs and then dropped vertically to the bottom of them. During low tide, there were exposed rocks on which you could land. As we got out of the helicopter and stood between the Pacific Ocean and huge cliffs, we were simply in awe of the fact that our job could provide us such joyous, inspiring moments. Those are the moments we live for. The ones that make us realize why we chose this profession in the first place.